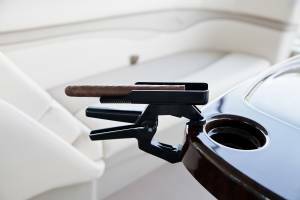 Perfecto Cigar Holder Discounts Apply ! cherry of your cigar above the ashtray to keep it burning evenly while it is cradled. it to the head of your driver! “An invention so perfect, it’s in the name of the product” "Golf Channel"